Dorough, who was born on December 12, 1923 in Cherry Hill, AR, and grew up in Plainview, TX, composed the catchy educational tunes for all of the show’s first season, the subject area Multiplication Rock, and then chunks afterwards for following seasons, but was a part of the series from the start as musical director. Dorough’s contributions gave the show a kind of catchy jazz feel, much like the man himself, who belied a constant twinkle in his eyes, creativity, and craft. Using jazz music for kid’s programs was still fairly new at the time. The Charlie Brown specials had dated back to 1965 with its liberal and forward-thinking usage of Vince Guaraldi’s memorable jazzy ditties, and Dorough, who had played on Miles Davis albums (even utilizing his vocals at points), took that approach to Schoolhouse Rock! as well. But as the name implies, he also threw in some electric rock elements that were in extreme de rigueur at the time. Although not as heavy as Led Zeppelin and not as soft as The Partridge Family, with Schoolhouse Rock! Dorough was able to find a healthy diet of sounds and genres which easily intermingled in aural concert with each other, and created songs that were memorable and are still top shelf in one’s recall to this day. The arguable highlight, which may even be Dorough’s arguable highlight of his Schoolhouse Rock! career, is his haunting and sublime “Figure Eight,” replete with a cello foundation throughout and sung by legendary jazz singer Blossom Dearie. But there were many more tunes that Dorough either wrote or sang on, such as the fast-paced “Ready or Not Here I Come”; the funky walloping “I’ve Got Six”; the fun sing-along “Four Legged Zoo”; the bluesy “Naughty Number Nine,” and the highly memorable “Three Is a Magic Number,” the tune which landed him the gig. And then there are the equally iconic songs of the later seasons, such as the benchmarks of the series and fan favorites like the brassy “Conjunction Junction” (sung by trumpeter Jack Sheldon); the R&B strut of “Verb: That’s What’s Happening”; the vaudevillian-styled “Lolly Get Your Adverbs Here,” and the cool repetition of “Electricity, Electricity.” There was something about the songs, married with the strong and inventively wonderful visuals, that elevated them even more. There’s a reason why Schoolhouse Rock! worked so well, and it was mainly due to the infectious spirit of Bob Dorough, even shining through on songs he didn’t sing on (like “I’m Just A Bill”), and ultimately, for the entire series run, his presence is felt throughout. It was that comfortable presence, like any sincere and successful children’s medium creator, that fine line balance between professionalism but always thrusting creativity and learning fun in the forefront, that made anything of its ilk a success, be it the works of Dr. Seuss, Richard Scarry, Joan Ganz Cooney and Jim Henson with Sesame Street, or Joss Whedon’s dad Tom Whedon with the Electric Company. 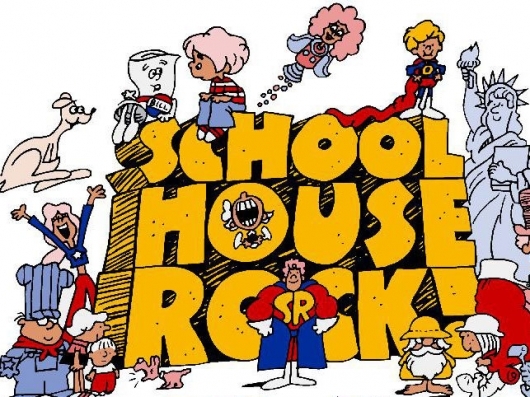 Like all of those aforementioned pieces of art, Schoolhouse Rock! too had that kind of magic, that gravitas and once in a lifetime ethos, mainly because of the beauty and memorable spirit and utter chutzpah of Bob Dorough. Every note he sang, played on, or wrote had such an infection of positive and colorful light to the listener, it’s a main reason for its endearing and rightfully so endless success, 45 years after Schoolhouse Rock! first debuted on ABC TV in January of 1973. 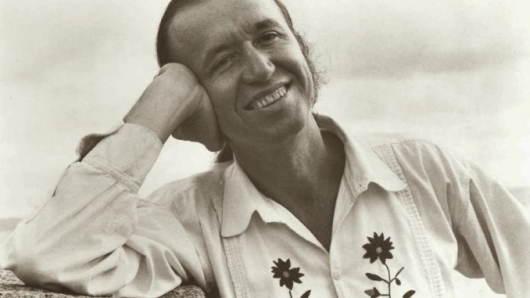 To sum it up regarding one of the great musical creatives of any age, and certainly one of the true heroes of the generation of kids born in the late 1960s – early 1970s: Bob Dorough, he wrote magic numbers, yes he did, he gave us magic numbers. Everything he did, that’s a magic number.